The business was founded in the early 1990's by Michael Firth who merged his engineering expertise and love of farming and created the first rotomoulded poly trough, having a firm belief in the benefits that poly has for farmers. As the business grew steadily and the applications for poly increased, the first poly tanks were manufactured, proving their durability again and again over the years. With the benefits and resilience of poly becoming clearer, this opened the door to a whole new range of products which could assist the farmer. Relaunching in 2003 in Singleton, NSW, Rapid Spray now boasts an extensive range from compact, versatile spot spraying units for small jobs, to medium-sized boom sprayers for those bigger fields, liquid cartage tanks, high pressure wash cleaning units, the largest diesel refuelling tank range in Australia and firefighting equipment. 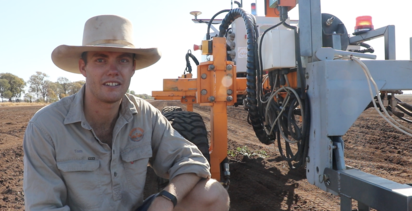 A driving passion to make the lives of farmers better and more efficient is still the force behind Rapid Spray with the constant investment in innovation and customer support. In 2006, Rapid Spray invented the first modular water tank in the world, connecting any number of 2000L compartments to create any size tank you wish. In 2007, they introduced the Ball Baffle to the water cartage market - the only liquid baffle system that has been independently tested and verified by LoadSafe Australia. The Buddy Smart Reel®, an auto reel with direct drive motor introduced into the market in 2014 revolutionised the spray market with the MyPace remote allowing for a customised walking pace. Their latest invention, the Scout model range, is the product of many years of listening to feedback on the changing needs of the market and finding out what would truly make customers lives easier. 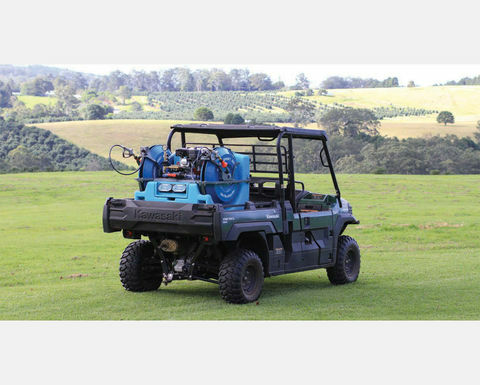 A turning point in UTV spraying, the SprayScout has been designed to be the best on the market for a compact, versatile UTV spray unit that maximises use of these important new farm machines. 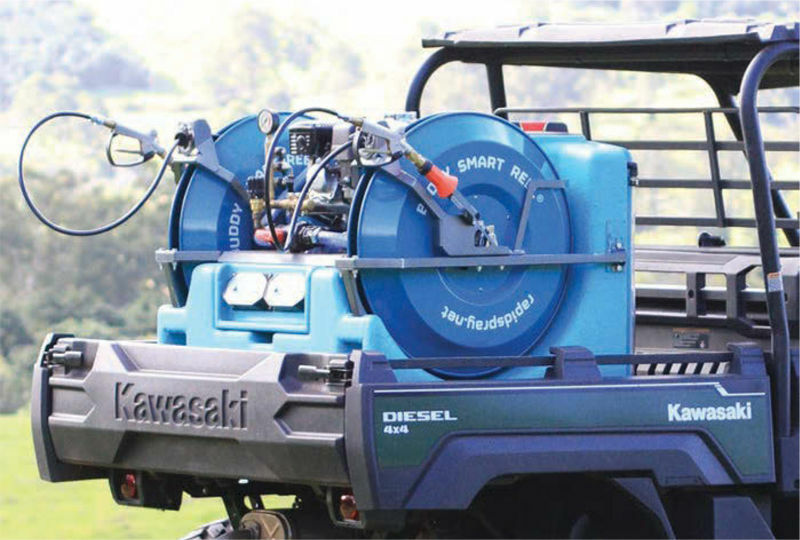 Rapid Spray Research and Development manager James says "With the growing trend for UTV's to be used in place of quads on-farm, many farmers have been asking us for a compact remote reel sprayer that doesn't sacrifice on tank capacity or pump performance. After two-and-a-half-years of development and testing, we are pleased to be able to deliver." 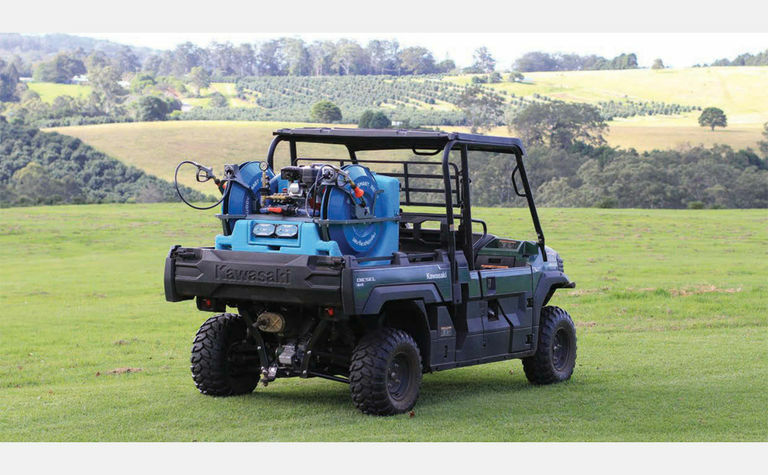 With the UTV in mind, the SprayScout 360L has been especially designed to hold a large amount of liquid but stay compact in dimensions to fit perfectly into the back of a UTV. The SprayScout 600L was designed with the dual cab ute firmly in sight, featuring compact dimensions to fit within the wheel arches of a standard ute back but without sacrificing any capacity compared with a traditional tray mounted unit. With multiple pump options and twin or single hose reel options, the SprayScout cannot be passed over. Other industry firsts include the built in 70L fresh water tank with handwash which can be used to rinse the pump and reels in seconds with a simple flick of a valve, and the enclosed battery compartment for keeping expensive batteries out of the weather where terminals can corrode quickly. Farmers will appreciate having had their common concerns heard with large, easyto-use tie down locations, fully enclosed forklift pockets to prevent loading accidents, all components galvanised prior to powder coating to prevent rust and a fully draining sump tank with large accessible filter and 32mm drain valve for fast cleaning. Launched at the same time as the ScoutSpray is the PressureScout and the FireScout. The PressureScout has been designed to offer a complete pressure wash solution including water for those hard to get to places and jobs such as on farm bio security and equipment washdown in the field. With the multiple pump options and single or dual hose reel configurations, the PressureScout will not be looked over. 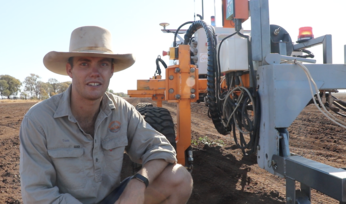 The FireScout is a great compact solution for back burning, stubble burning and general water supply in remote areas. Featuring the same great design as the SprayScout, but with a 490L/min high volume Aussie FireChief pump and 36M of 19mm fire hose with adjustable nozzle, the FireScout makes portable fire prevention and containment easy. "Dual cab utes are very much part of the Australian landscape, now you have the choice of 360 or 600L in a compact but fully featured machine without having to worry about how it's going to fit," said sales manager Russell Firth. Rapid Spray - striving to bring to the agricultural and industrial markets a range of tried and proven, Australian designed and manufactured products that are built to perform better in the field every day. * Please obey vehicle manufacturers loading and weight restrictions for your vehicle. Do not overload your machine as serious injury or death can occur. Rapid Spray brings innovative technology and products to the agricultural and industrial markets. Our products are Australian designed and manufactured that are built to perform better in the field.